… is out of order. Please try again later. Or, a better idea… you could keep trying. Kick it. Bang on it. Feed it candy. Let it outside. Whatever you think will help. February? I’ve had the windows open for days to let the warm breeze blow in. I’ve been sweating during my Jazzercise. I think it’s 90 today. This is so weird. I feel like I should be outraged at the whole global warming thing, but I can’t help but love not freezing my cookies off in the bead cave. I’m actually getting some work done. And I’m thinking about painting my toenails red and wearing open toed shoes. In February! 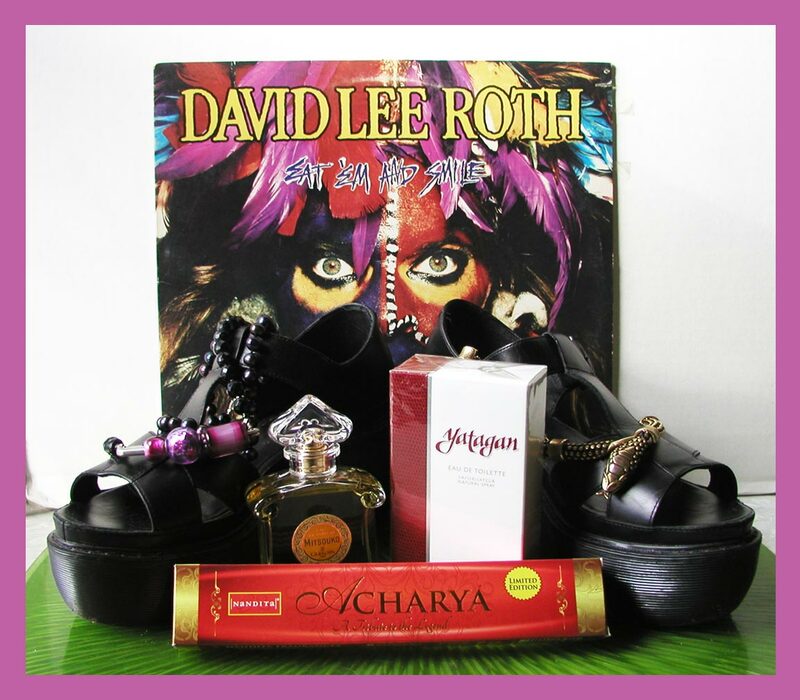 stuff I like this week: David Lee Roth (all weeks), Yatagan, Mitsouko, Grandma Moran’s snake necklace, my black pearls and safety pin necklaces, Acharya incense and giant 8lb shoes. The Poopie Perpetrator… I should hope that when I’m as old as she is I’ll still be alive to perpetrate my poopies on everyone who still loves me. Guess I’d oughtta start making some friends. These seed-bead color block things… I’ve been seeing them around quite a bit the last few years. I’ve been thinking about them and finally made a couple. I’m not sure if there’s any meaning to them, but the ones I have seen seem to be strung up rather willy-nilly. I can do willy-nilly sometimes, but not so much in jewelry. There must be some order. I must count. The numbers must match. The colors must balance. And when it comes to MY bracelets, the Lucite buttons must stack. This was strung on high quality tigertail and it was a whole lotta fun to make on a stormy night while watching Forensic Files. Morbid? Yes. Informative? Yes. Helpful? Unlikely. I’ll be seeing you again real soon… I’ll probably take a few more days to get some more beads made. I’ll give you a holler when I’m getting them ready and they’re good to go. Thanks for reading! Does everyone still hate Mondays? Is that still a thing? I wouldn’t know. I have no idea what day it is half of the time anyhow. I did it! I did all the pictures and describing and Etsy stuff, and now the beads are ready for you to look at. I’m kind of liking going back to the semi-once-a-week Etsy listings. That is, until I get my Etsy bill. Then I don’t like it as much. But I’ll stick with it for a while – at least until I can figure out how to do everything I want to do all in one day and still have time to read important works of fiction and clean the toilet somewhat regular-like. Fat chance, right? I’m also planning on focusing on lampwork for a while – no silver stuff for a little bit longer. I have new glass ideas and the desire to risk the disappointment if they turn out crappy – so I should stay on task. Now that I’ve come to terms with the fact that I’m (intrinsically) too self-indulgent to stick to a routine, self-imposed or otherwise, I must, at the very least, limit my number of irons in the fire. But certainly not my number of mandrels, yuk-yuk. So this is good news – if you’ve been hesitating on placing a made-to-order, hesitate no longer. The glass is my oyster for a while and there are no other random projects standing in the way of timely completion. But what if it’s cold? I guess I’ll just put on my boots and fleece dress and legwarmers and tights and apron and crocheted hat and spin you up some of whatever you’ve ordered up. 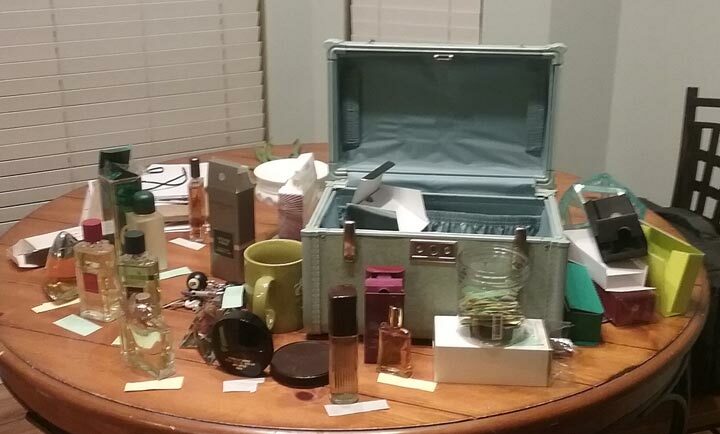 Click HERE to get to my Etsy shop, or the thumbnails below for each item. Thanks for looking! I’ll see you again soon. Madonna wears Habit Rouge. Often referred to as Shalimar for men, it’s citrusy, powdery, and a bit smoky. It’s quiet and delicate. It’s one of the most perfectly gender neutral fragrances I’ve come across. See you again tomorrow or Monday!